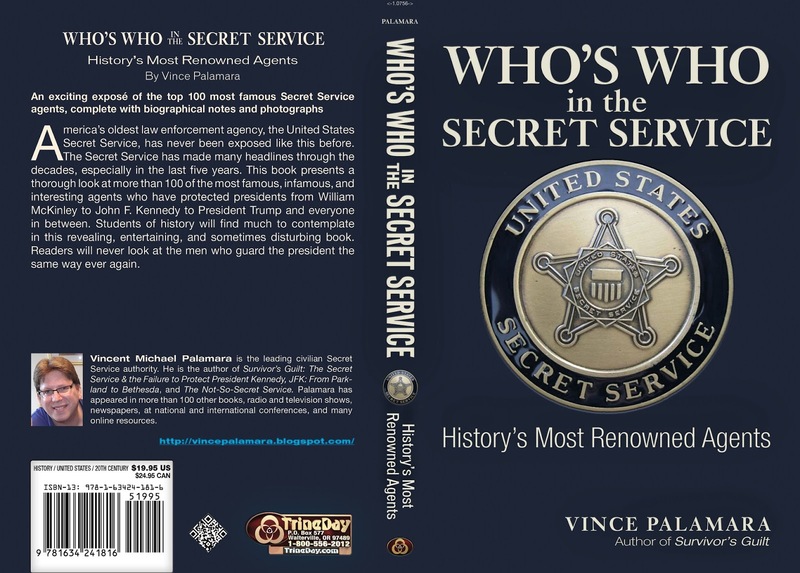 ← SAIC of WHD/PPD SECRET SERVICE REUNIONS IN THE OVAL OFFICE! Yours for only 15 dollars (including shipping and handling; USA only)! Although the official release date is 9/1/18, I received my copies today. 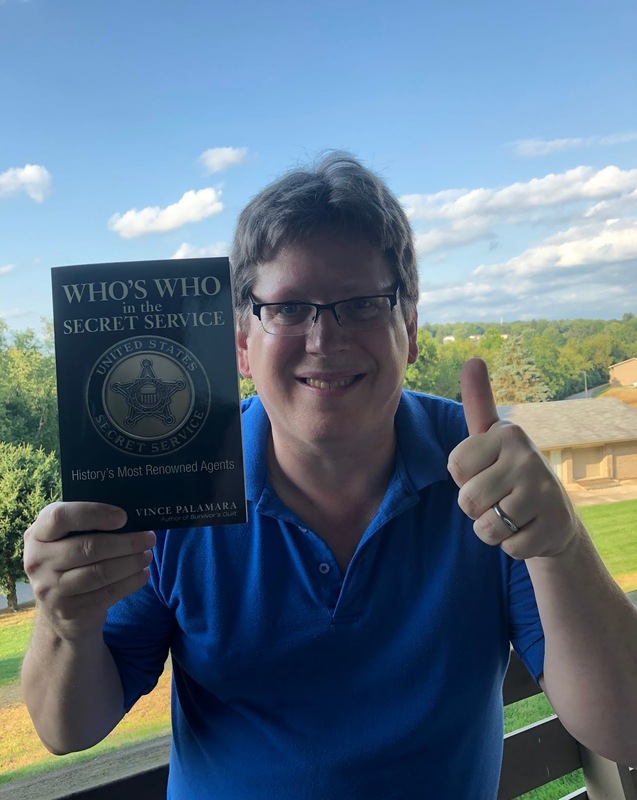 Send me a private message and an autographed copy is yours! Over 300 pages, rare photos, and much new and interesting information! I am proud of all four, but this is my favorite of them all- quality of content/paper/photographs, new information, etc. 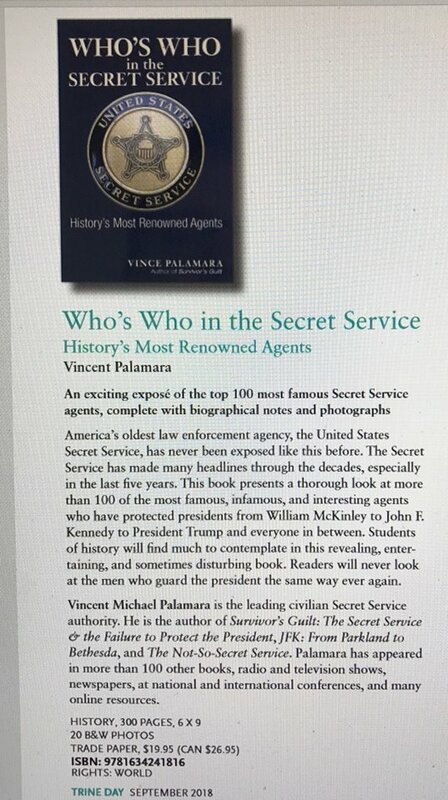 This one covers from the McKinley thru the Trump era by detailing the top 100 (+) most renowned, interesting and famous agents. Appendix 1-4 will be sure to please researchers, while regular folk will be absorbed by these men and women who protect our presidents. Over 300 pages.